Hello, I’m Christine and I’m a magazine addict! If you’re like me, you will also have a steady stream of magazine subscriptions popping through the letter box. 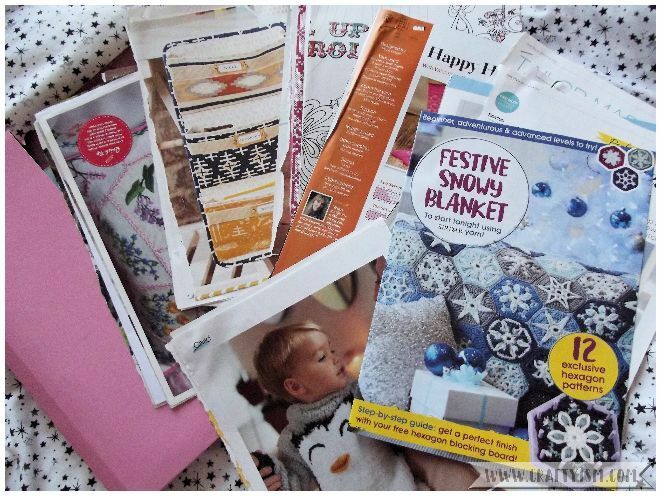 What I love about craft magazines is the inspirational projects and handy tips from experts. But what about all the adverts and projects you know you’ll never make? I have started tearing out the projects and articles I like and putting them in a folder. This way if I need to make a gift, or just fancy crafting something different, I can look through my folder. It’s much more compact than a whole stack of magazines, and the left over pages get recycled. If you’re extra organised, why not divide your folder into categories e.g. paper craft, crochet, sewing. Extra points for subcategories like; Christmas, children, upcycles etc. Having my craft stash on display means that I know what I’ve got. I don’t buy duplicates by accident because I know I don’t need them. I also find I’m more inspired to craft If I can see my supplies waiting for me to use them! 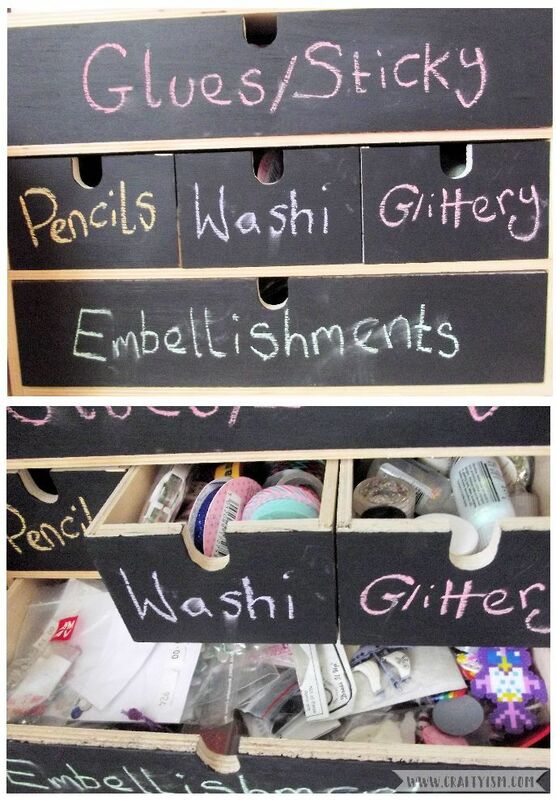 Putting your craft stash on display doesn’t have to look messy. In the photograph above, I have used a set of wooden storage draws from IKEA. With a bit of blackboard paint on the outside, I can easily label each draw with it’s contents. The good thing about blackboard paint is that you can easily change your label or even add little drawings instead of text. Tip No.3 – Organise it pretty! My draw of rainbow threads makes me so happy! Before, they were in cardboard boxes and it was such a pain trying to find the right colour for my project. Now I look forward to sewing crafts because I know I have my supply of easy access rainbow threads. 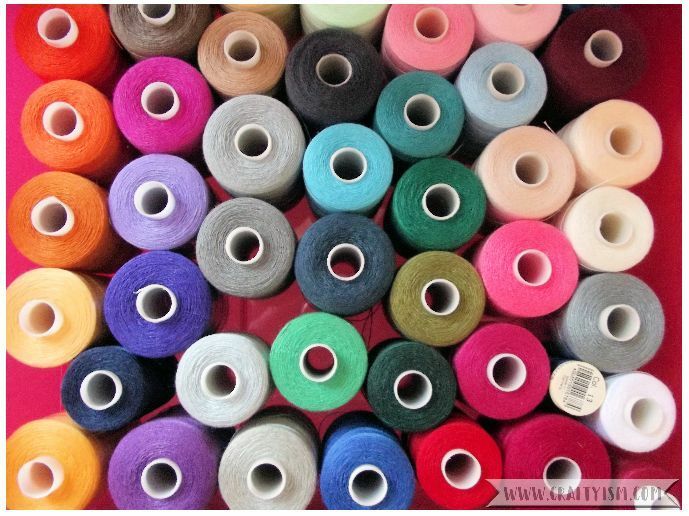 You can organise your craft supplies by colour, season, pattern or height if you wanted. Just make sure that you think it looks great and it makes you want to be in that space. Again this doesn’t have to be on show. You can organise-pretty your draws, knitting bag and paper craft folders. So I’ll admit another addiction which you might be able to guess if you’ve read my reviews – craft books! When I look through these books, I always think of who I would make the projects for, or what materials from my stash I would make them with. An easy way to remember all of these thoughts is to bookmark the projects as you see them. Stick little sticky notes on the pages with thoughts of when, why and how you would make the project. For more bonus points, write up a list with the book title and the page numbers of the projects you have bookmarked. If you add on who you would make the project for, this list will be your go-to for birthdays and other celebrations. Sometimes I’m too busy to craft. Other times, I just don’t think to craft because I haven’t planned a project, even though I know I’d enjoy it if I did. However, if I’ve set aside a specific time just for me and my craft, I will look forward to it and get to use up some of my supply stash. Scheduling crafting into your week, could involve deciding to crochet that blanket whilst watching the next episode of your box-set. Or it could mean that you book yourself a day off work and dedicate all of it to sewing that dress you’ll wear all summer. If you combine scheduling with your bookmarking and magazine folder, you could be extra organised and not have to make any last minute presents all year long. I really believe that crafting is a way to mindfulness and relaxation. However, sometimes the craft stash, and expectation of handmade gifts, can be a little overwhelming. 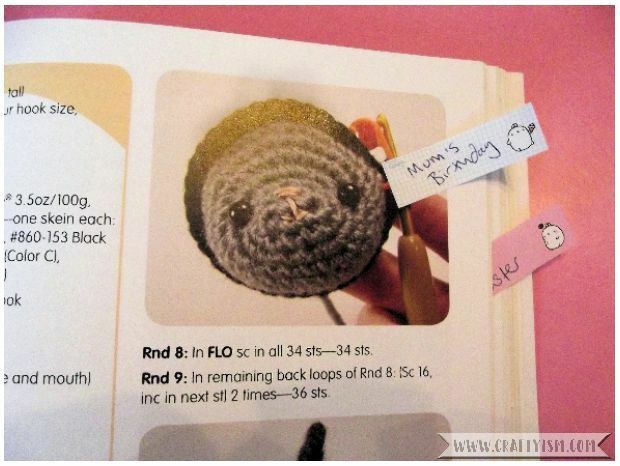 Hopefully these tips will give you some inspiration of how to approach your crafty hobby in a more calm and organised fashion. 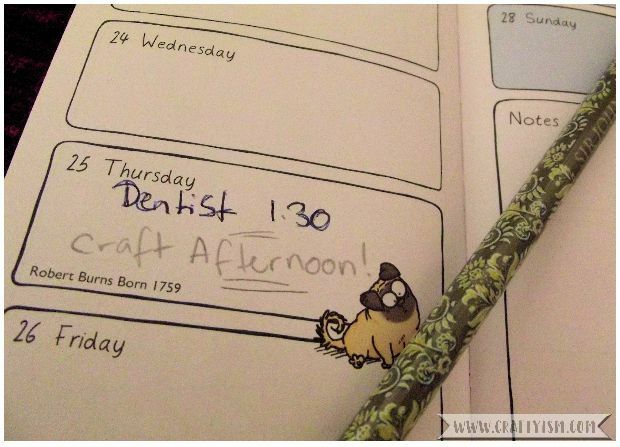 If you have any tips for being an organised crafter, please leave them in comments. I’d love to read them and become even more on top of my craft game!